At Wandahome we have our own dedicated aftersales team incorporating our Servicing and Repair department. 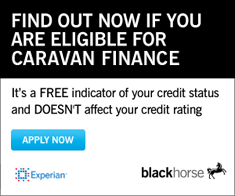 Our workshops are NCC approved and are also recommended workshops for The Explorer Group Caravan Company and Coachman Caravan Company Limited, with whom we have great working relationships. Our staff are fully trained to City and Guilds standards and are qualified in both gas and electrical repair work. With a combined workshop and aftersales experience of over 50 years, we have our own on site body repair specialist and our workshop team can boast expertise in insurance work, servicing and warranty work including ingress repairs, caravan security including alarms and trackers. We can also supply and fit a host of extras to your caravan including Motor Movers and Tyron bands. For details of our comprehensive service schedule please contact us. Our Technical Director works hard to ensure that his team provide you with an ongoing level of service we can be proud of. If you would like to speak to a member of our dedicated after care team regarding servicing of your caravan then please contact them directly on 01977 633111. Alternatively, please send your query via email to aftersales@wandahome.co.uk .